Bronze is an ideal choice of material for an outdoor sign with traditional character. As with our stainless steel & metal, aluminium and brass signs they look particularly attractive when they are mounted on a hardwood surround (usually mahogany or oak but other woods are available). Why choose our bronze signs? Bronze has been a beautiful, heard wearing meta that has been used for centuries. Due to it’s durable qualities the bronze is perfect for signs designed for outdoors. If you are after an ‘In loving memory’ sign for a bench or a special occasion plaque, we have exactly what you need. We can also produce outdoor signs in stainless steel or aluminium. Our signs can vary greatly in style and finish to exactly what you desire. We have happy returning customers that have been with us for years, ecstatic with our amazing products. Our dedicated professional team have got years of experience and know exactly how to work these beautiful materials to bring out their best qualities. We are not blowing our own trumpet, hop over to our testimonial page and read the comments from genuine customers for yourself. 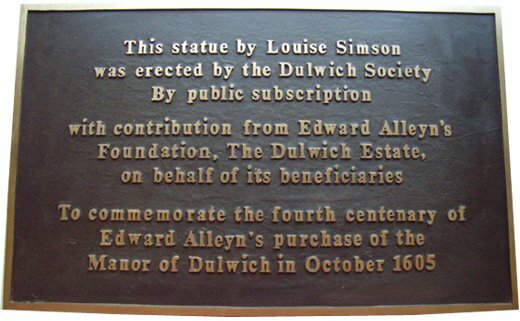 Want to know more about our Bronze Sign Engraving Services? 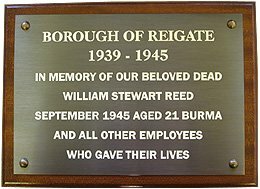 Our bronze signs can be engraved, etched or cast. We can also put on a BMA finish to provide a touch protective layer to guarantee the durability. Each of the techniques produce different styles and designs. For example, for a memorial statue sign, a cast design would look way more traditional and stand out. We can also put hard wood backgrounds onto your sign. Mahogany and Oak are the most popular woods to use, but we can also use several others of your choice. Having a hard wood background can help your sign look more professional, important and of course beautiful. Our bronze signs are master pieces you will never be disappointed with. With a long life, these signs can be enjoyed for decades or even centuries to come. 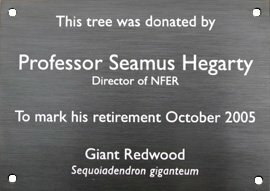 Wonderful, how can I get a bronze sign engraved? Bronze signs can be etched, engraved or cast and can be given a BMA finish to provide a tough and attractive protective coat to the surface of the sign. Reach out to our team for a helpful and hassle free response. For helpful and friendly advice on the above products please call 01342 843211. Our friendly and experienced team will talk you through the process, give you a free quote and answer any questions you may have. We look forward to your call!